AFI entities such as BBVA and promote banking measures in parts of Africa and Latin America to help people to access credit or debit receipts. In the world there are 2,000 million adults who are unbanked. In emerging markets such as Latin America, nearly half of its population (49%) did not have any kind of relationship with the banks, according to the report Global Findex 2014. This means that millions of people have to pay their bills in administrations manually, do not have the opportunity to manage their money with the ease of mobile banking and even that may not even have access to credit in his life. 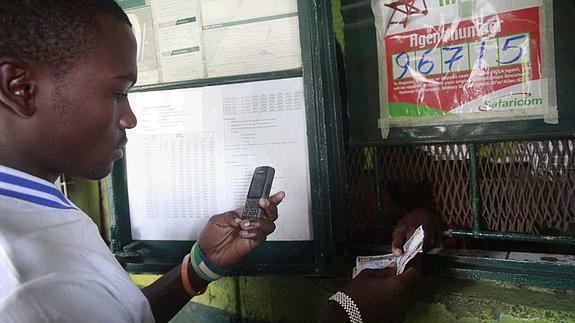 To try to alleviate this problem, some entities have implemented financial inclusion programs. In the case of BBVA, which aims to banking areas and social strata with fewer resources, a “fundamental” step to their economic development? For this, the bank has reached an agreement with AFI, the leading global organization in this area and has created the Open Talent Award to encourage startups to generate innovation around this area. All in accordance with its commitment to simple banking (‘Easy Banking’) and technology. Thus, according to the platform for public-private dialogue Alliance for Financial Inclusion (AFI) will help extend the project thanks to the expertise of BBVA in areas such as consumer protection, digital financial services, SME financing, and so on. As part of the agreement, the company has participated this month in the Global Policy Forum (GPF) in Mozambique, the most important annual event of financial inclusion. During the ceremony, he gave his special prize BBVA Open Talent 2015 Destacame.cl, a Chilean startup that provides credits by creating a risk profile based on the payment of invoices for basic supplies users. The award appreciates the interest of the company that “any person responsible need a credit can demonstrate that free and voluntarily be able to pay,” explains Jorge Camus, founder of the Chilean company Destacame. In his opinion, one of the main reasons why people do not have access to banking systems is precisely because the authorities have no access to financial information of these people. This means that a “vicious circle because if they do not know if you are a good payer, banks do not grant credit” is generated. This whole problem is further augmented by the understanding that most of the people in less affluent countries in Africa and Latin America has no debits, but they pay their bills directly going to the office managers, because they do not have current account. The founder of the startup, which has already signed agreements with the four major entities of Chile, says the technology is today “the perfect place to resolve the issue of financial inclusion mechanism”. His system works through a mechanism that assesses scores if the payer is good, fair or poor. As the user decides when your information is sent to the bank, is a “motivation” to enhance their brands, says Camus. Also, since AFI recognize that “no doubt” that the technology will have a huge impact on financial inclusion that is already being used “to improve conditions, not only in Africa and South America, but around the world.” The technology is used to rapidly expand basic infrastructure, energy, transport and communications “to the most remote places on earth,” says Foster. “Technology will not solve all our problems, but opens the door to solutions that we never thought were possible,” says the member of AFI.